So Facebook decided to one-up its own IPO proceedings last week with the news that it had acquired the photo-sharing mobile application Instagram. By any conventional metrics, the $1 billion price tag for a company with no revenues, 13 employees and 30 million users at the time makes little sense. On a relative value basis though, the move is a brilliant one by Facebook. The company essentially paid 1% of its market value for Instagram which is well on its way to surpassing 100 million mobile-only users by the end of the year. To put this growth into perspective, it would make Instagram 1/10th the overall size of Facebook and potentially 1/5th the size of Facebook’s mobile audience by the end of the year- not bad for a company that’s been around for less than 2 years. More importantly though, by acquiring the most popular free app in Apple’s App Store, Facebook adds a critical capability that extends its platform experience in mobile. Facebook was a child of the now officially-ended Web 2.0 era, so its website was built to be experienced on personal computers. Now thanks to smartphones an app economy has emerged that has enabled companies like Instagram to optimize the user experience of their applications solely for mobile phones. Alongside the acqui-hire of the team from mobile messaging app Beluga last year (which subsequently built Facebook’s Messenger app) Facebook now has apps that bring the company’s core features from facebook.com, photo-sharing and communications, to a complementary set of stand-alone mobile user experiences. These acquisitions don’t solve all of Facebook’s mobile needs though. Since Facebook Messenger and Instagram, as well as Facebook’s own apps, are built specifically for smartphone operating systems half of the mobile subscribers in the U.S., and an even a greater percentage in the largest European Union countries, can’t access these apps because they don’t own smartphones. Even with sales expected to cross 1 billion devices worldwide in 2014, smartphone penetration will still only reach 15% of mobile users, meaning Facebook can’t rely on smartphones reaching a tipping point in the near-term to address the risk factors associated with its growing mobile audience. As Facebook reaches market saturation in many developed countries, the company will need to rely on emerging markets for the majority of its future growth from a user acquisition, and eventually, a monetization standpoint, as the primary means of accessing the internet in countries such as Brazil, India and Russia will continue to be through mobile devices. That means creating mobile experiences that are ubiquitous across devices and not tied to any specific operating systems is paramount for Facebook to scale its mobile offering. The Instagram deal notwithstanding, Facebook has spent the past year putting the pieces into place to address the other half of the mobile landscape. Starting in March 2011 Facebook acquired Snaptu, a provider of smartphone-like usability on feature phones for an estimated $60 to $70 million to expand the capabilities of Facebook for Every Phone. Then in October the company announced the release of its mobile app platform that enables social discovery of HTML5 and native apps. Facebook followed this up with the acqui-hire of the team from HTML5 app platform Strobe and the hiring of a head of Mobile Developer Relations from Strobe competitor Sencha in November. Since then Facebook has continued to support the launch of their mobile platform with a series of mobile hack days and the open-sourcing of their browser test suite, Ringmark, for building apps on the mobile web. 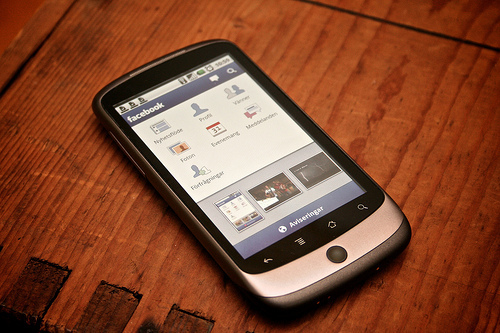 With 1 billion HML5-capable phones expected to be sold in 2013 the open, mobile web will be just as important as native smartphone apps to Facebook’s success. With Facebook’s IPO now expected to take place a month from now on the heels of a booming advertising business, the company is well positioned to support a $100 billion valuation. But for Facebook’s stock to continue to perform well one of the key non-financial metrics investors will focus on is active user growth. As the company’s mobile user penetration trends past 50% of its overall user base towards 100% due to increasing smartphone adoption and emerging market user growth, extending the Facebook platform capabilities in mobile will allow the company to create natural revenue extensions in mobile for both its advertising (like the recently announced Reach Generator) and payments businesses that leverage both apps and the mobile web. But with international representing a growing portion of Facebook’s revenue mix, developing an ecosystem around the mobile web will be especially important for the company to continue to drive engagement and revenues. If Facebook can execute on the assets they have put in place now, the company can turn the most over–analyzed aspect of its S-1 registration statement into its biggest growth story. In the process Facebook just might be able to answer the question- who’s going to be the Facebook of mobile- with itself.